Are you looking to find the nearest employee-owned business near you? 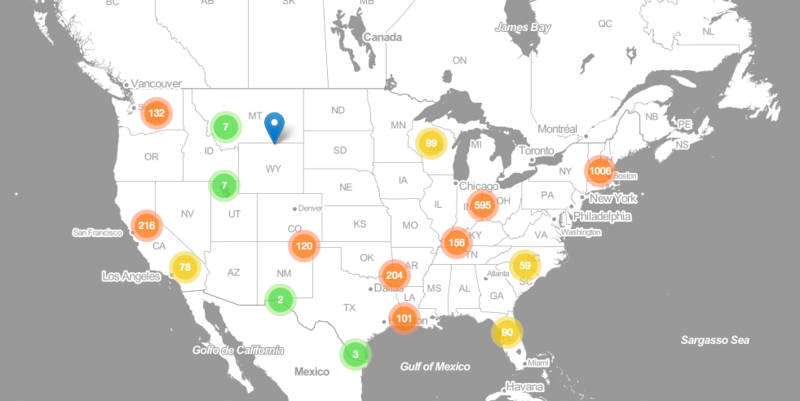 Or do you want explain just how many EO businesses exist in Colorado? We get it. Mapping employee ownership helps convey the breadth, diversity, and competitive edge of this way of doing business. Accurate data matter all the more as Congress considers multiple pieces of legislation. Employee-owned businesses change, and their statuses aren’t always immediately updated. Like any business, EO companies may close, merge with other companies or be acquired. More things happen on the ground than national organizations can track. At the same time, different nonprofits, think-tanks, and service providers support ESOPs and worker co-ops. Thus, data and data standards about EO companies vary widely. National organizations track ESOP data through tax filings, which creates a lag effect. For example, an ESOP company ends their fiscal year in December 2017. They file a Form 5500 or Form 5500-SF by July 2018 (seven months after the end of their fiscal year). The Department of Labor may release 2017 data more than year later in September 2019. However, national organizations may not crunch and release the numbers until 2020. While the federal government regulates ESOPs, individual states regulate worker co-ops. Co-op data is tracked through a combination of online census, word of mouth, and incorporation filings. These dynamics also create gaps in the accuracy and timeliness of data. Finally, some forms of employee ownership are hard to track. Should we track companies with stock options, profit-sharing, and direct stock purchase plans? Or companies like Chobani who give their employees stock? And what about companies in the process of converting to employee owned? Leaving these companies out of the picture means we miss innovative and important stories. In spite of these challenges, many organizations have created maps to convey employee ownership. Here are maps we have found particularly helpful. Becoming Employee Owned tells the story of the work of Workers to Owners Collaborative (W2O). W20 is a group of organizations—including RMEOC—convened by Democracy at Work Institute. This map features resources for conversions to worker cooperatives. The NCEO has a listing of 300+ service providers who help businesses navigate an ESOP transaction. This site, organized by the National Center for Employee Ownership, has the most robust and authoritative map data of employee ownership. 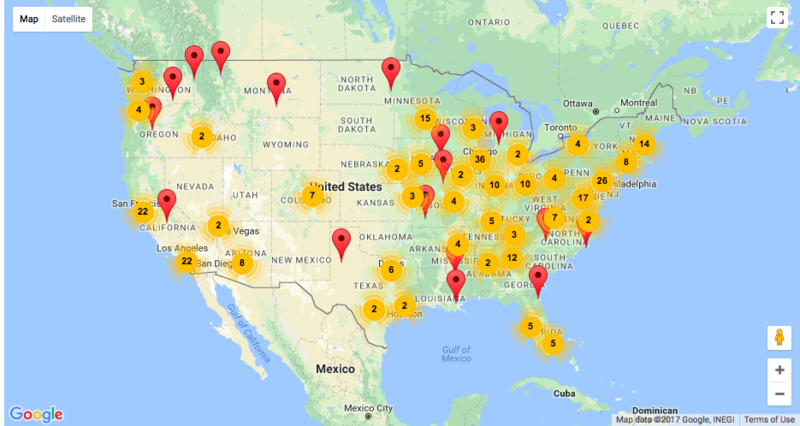 The NCEO maps ESOPs by start date, Department of Labor industry group, companies with more than 100 employees and companies with fewer than 100 employees. Give such a large database, the page takes slightly longer to load. 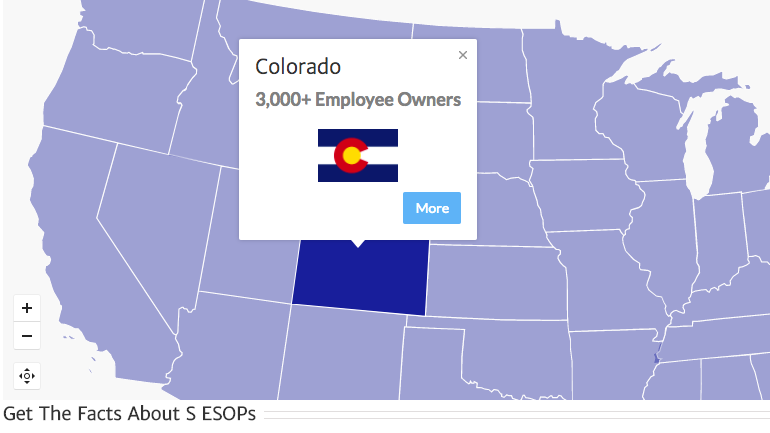 The Employee S-Corporations of America (ESCA) hosts a simple map of the number of S-corp ESOPs, a highly tax-advantaged form of employee ownership. Clicking on each state reveals the number of employee owners in that state. 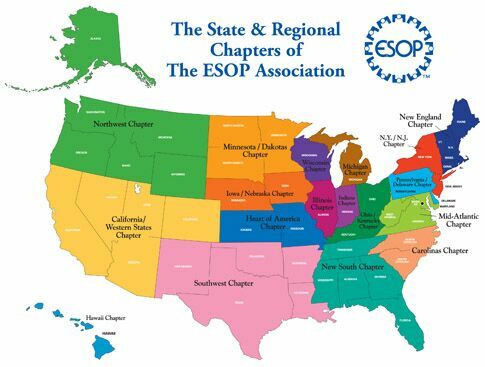 Finally, the ESOP Association hosts a simple map with hyperlinks to regional chapters. The Colorado Co-ops Study Circle’s state map shows the various co-ops in the state—including credit unions, utility co-ops, and housing co-ops. This site organizes co-ops by industry, so finding strictly worker co-ops can be challenging. 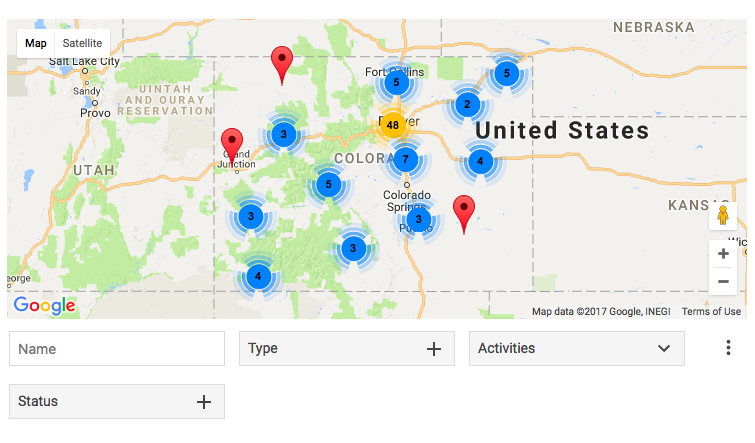 The map draws from coopdata.org’s database, Rocky Mountain Farmers Union’s data, and Rocky Mountain Employee Ownership Center’s list of Colorado employee-owned companies. Similarly, community-wealth.org, a project of the Democracy Collaborative, has a big-picture map of many different types of economic and social organizations, including worker co-ops. Since this map features many types of community wealth building, its worker co-op listings are not quite up to date. While we appreciate all the care and planning that has gone into creating these maps, we also dream of a single unified map that provides a holistic picture of worker ownership. Having reliable data about EO companies would inform policy, educate consumers, and create stronger networks between EO firms. Accordingly, RMEOC is currently determining how to create a map like this for Colorado. Ideally, multiple stakeholders could update the map without a central organization. A decentralized database could be easier to update. We’re still in the design phase, and we value your feedback. What do you think a holistic map of employee ownership should include? Comment below!